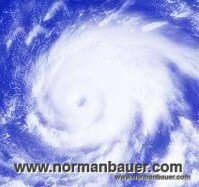 Due to hurricane Sandy I cannot receive or send any mails these days. It seems that an Atlantic Metro datacenter in New York is offline because of power outtage (Backup datacenter in NJ is offline as well). Please contact me via Facebook (https://www.facebook.com/normanbauercom) or Twitter (https://twitter.com/normanbauer). Updates on the repairs of that specific datacenter at https://twitter.com/atlanticmetro.